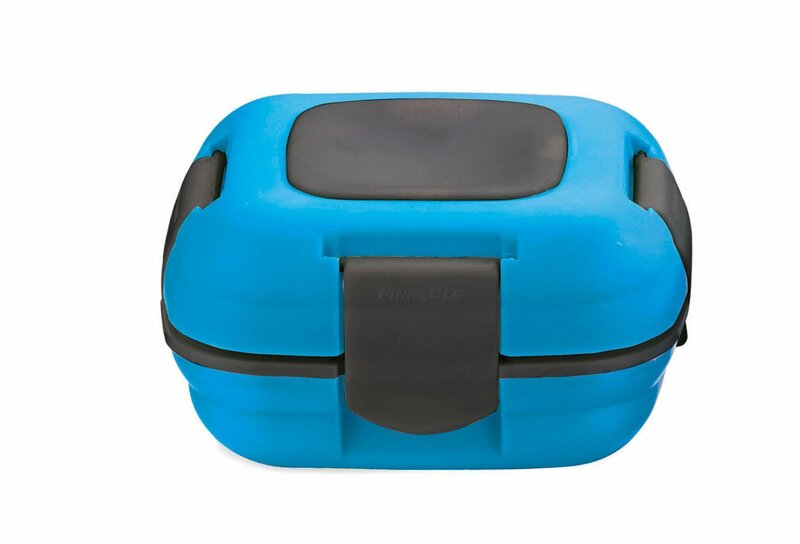 I just got this thermo lunchbox from Pinnacle. This is a really great lunchbox that has thermo protection, keeps your items warm or cold depending on the temp when it’s put in the box. It’s very durable and well made. Extremely insulated and the closing mechanisms ensure a good seal and closure. The design is really neat it comes in a bunch of different colors but I got the blue one. The closures snap into place to as I mentioned you are sure that it is closed. There is rubber inserts that prevent air from escaping and keeps your items warm or cold. It’s easy to clean, just wipe it down or put it in the dishwasher. The only negative I found is that it is very small, so make sure you read the description on the measurements because it is pretty small. I have been eating healthy though so it suits my needs, but don’t get it thinking you will be able to put a bunch in it. It’s great for like one item.